JP Construction Services: Cheap Roofing Options in Maryland - How Much Does Roofing Cost? Cheap Roofing Options in Maryland - How Much Does Roofing Cost? If you live in Maryland, you probably know the running joke about the weather: If you don't like it, just wait 5 minutes. The seasons come with all the extremes while severe temperature and precipitation fluctuations can seem like the daily norm. And with those conditions, some of the residential roofs in Maryland may not be up for the challenge. 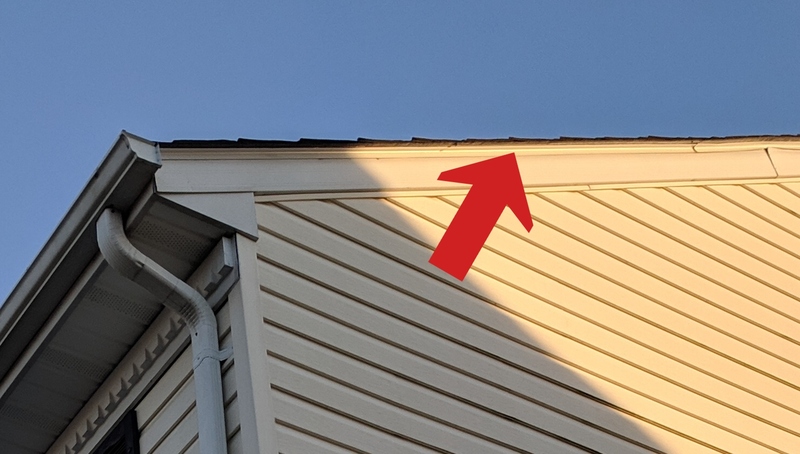 Below, I will discuss some of the likely causes of roof failures, what can be done about them, and how much they might cost. One piece of information you should know is what type of roofing shingle you currently have. There are 2 main types of asphalt shingles: composite (also known as 3-tab) and laminate (also known as architectural or dimensional). Examples are pictured below. If you currently have a 3-tab shingle, the max warranty is likely 25 years. This doesn't mean that it won't last longer, but it does mean that, if it's older than 25 years, it's exceeded its lifespan. 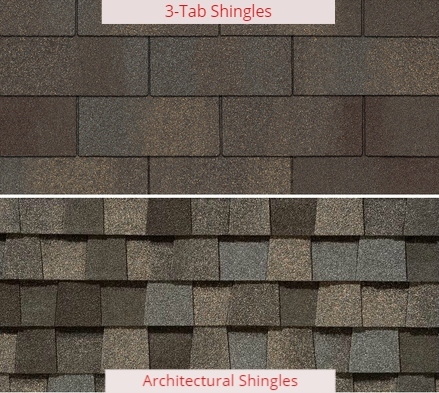 Most 3-tab shingles come with either a 15, 20 or 25 year warranty. 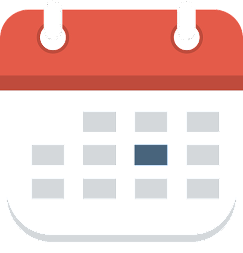 It's also important to know that the warranty time-frame is for optimal conditions. So, a 20-year warranty doesn't mean the shingles will necessarily last for that long. Extreme weather conditions (like we get in Maryland) will likely shorten this span. Most architectural shingles that get installed today are considered 50-year shingles. However, if your architectural shingle was installed prior to 2012, it likely was considered a 30-year roof. The same caveats about the warranties discussed about the 3-tab shingles apply to the architectural shingles. Next, you should know the approximate age of your roof. If your roof is within 5 years of the warranty (i.e. 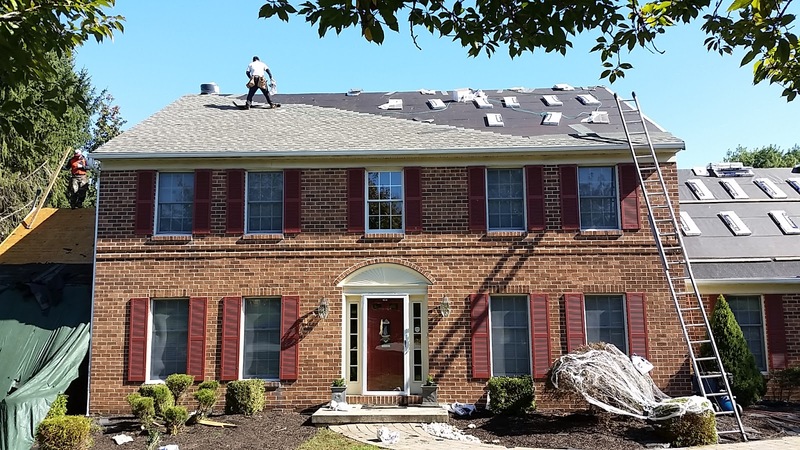 your roof is 15 years old and has a 20-year warranty), and you are experiencing issues, like missing shingles and/or a leak, it may be time to replace your roof. 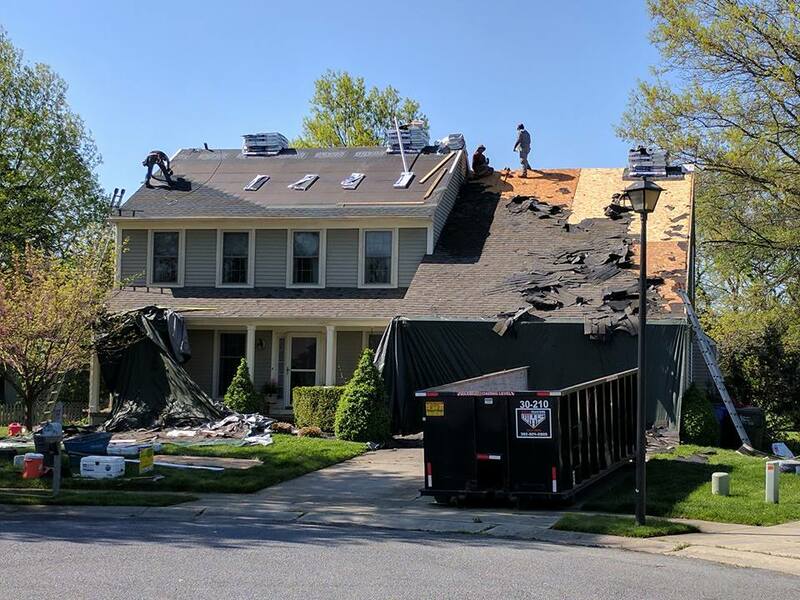 Though you could probably temporarily fix the leak and patch the shingles, you'll likely have to replace the roof at some point, so it usually makes more financial sense to just go ahead and replace it. That obviously won't be the cheapest option, but it will save you money in the long run. However, if your roof is not within 5 years of the warranty designation, it may make sense to repair the issue without having to replace the entire roof. Missing shingles can be replaced. However, as you may have noticed when one of your neighbors received a roofing patch job, the new shingles will never be a perfect match to the existing ones. So, be aware of that. Most leaks are the result of some type of flashing issue. Flashing is metal that is bent and installed under and/or between the roofing shingles in places that the roofing surface comes into contact with another surface (like an exterior cladding such as siding) and where openings exists within the roof. Flashing should be installed around chimneys and skylights, for example. Other penetrations, like roof vents, have their own "built-in" flashing that gets installed along with the pipe or vent. When flashing fails, water will find it its way into a house. There are a wide variety of reasons as to why the flashing may fail on a given roof. It may have been installed incorrectly, or it may have broken down over time. In fact, many of the older "built-in" pipe flashings were a rubber-type material that can become brittle and crack over time. Most newer versions are metal. Sometimes, in a particularly wind-driven rain, water can basically flow "against the grain" and find its way into an opening. In other words, a leak can sometimes be an almost unpreventable one-time occurrence. Water can also get into your house if your guttering system isn't functioning properly. If your gutters are clogged, the water can start backing up onto the roof, and eventually make its way inside. It's also important to make sure the shingles don't hang over the edge of the gutters so much that they inhibit the gutters from performing at their most efficient. However, some shingles are installed with practically no over hang. This allows water to seep into a house much more easily, both along the eaves (where gutters are typically installed) and along the rakes (the peaks or "A" frames). Most shingles should be installed with an overhang of 3/4" to 1-1/4". Along with the shingles that overhang the edges, there should be drip edge installed around the entire perimeter of the roof as well. Drip edge is actually another form of flashing and is installed on most roofs (pictured below). It's considered code as well. If you don't have this installed, it could be a leak waiting to happen, if it hasn't already. Another important roofing accessory is ice/water shield. Ice/water shield is a rubberized membrane that gets installed along all the eaves, directly on the wood sheathing, at least 2 feet from the exterior wall. This membrane helps to prevent seepage during the melting and refreezing of water that can occur on a roof in the winter months. Ice/water shield is considered code, and if your roof does not have it installed and you have a leak that has occurred in the winter months in the area of your eaves, the ice/water shield (or lack thereof) may be the issue. Another important thing to remember is that the water you see surface in your house does not necessarily reflect the location of where the water is initially entering. Water can travel along rafters and joists before actually fining its way into your living space. Sometimes it can be obvious where the water s coming from; other times, it can take some detective work. If you're not sure where the water is coming from or what you should do, we recommend getting your roof inspected. A qualified roofing professional should be able to figure out what the problem is and give you options on how to solve it. Most repairs cost between $500 and $2000. That's a wide range, but even for a small repair, the material and labor costs can add up quickly. Remember, some roofers might charge less than others, but may not actually fix the problem. Most repairs are not guaranteed, as there can be some guess-work involved, so you want to make sure you hire someone that knows what they're doing. A full replacement cost can vary greatly. It mainly depends on the size of the roof, but other factors can come int play as well, like the steepness of the roof, or if there are any dormers or other specific challenges to the project. The average roof replacement project costs between $6000 and $15000. Frederick Customers! Take the Hail Damage "Quiz"
Confirm Our Rating on the BBB! The JP Construction logo is a registered trademark of JP Construction Services. © Copyright 2005 - 2019 JP Construction Services. All rights reserved.